Hunters Ridge Country Club Bonita Springs, Florida 34135 is a gated golf community built on 275 acres of SW Florida’a natural landscape. Hunters Ridge Country Club features single family, villa and coach homes. It is also affordable! Hunters Ridge Country Club features an 18 hole championship golf course laid out in a natural setting. 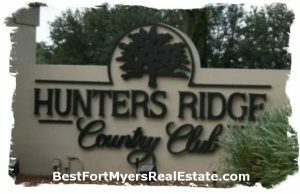 Hunters Ridge Country Club, Bonita Springs – Easy to use and Up to Date MLS search!